Congrats to Merlin the cat who beat the world record for the loudest purr! Here at Guinness World Records we enjoy coming across your typical everyday pet with a rather unique talent and Merlin the Cat from Torquay is just that. It was amazing to see just how loud his purr was in person and, despite a couple of readings of Merlin's purr just under the current record, a bowl of tuna cat food proved to make all the difference and secure the record. Most cats purr at around 25 decibels, but Merlin clocks in at 67.8! He has reached volumes as high as 100, according to Tracy Westwood, who rescued Merlin as a kitten from a shelter in the U.K., and can hear her beloved pet purring even when she's using a hairdryer. The previous world record was held by Smokey, who registered 67.7 decibels. 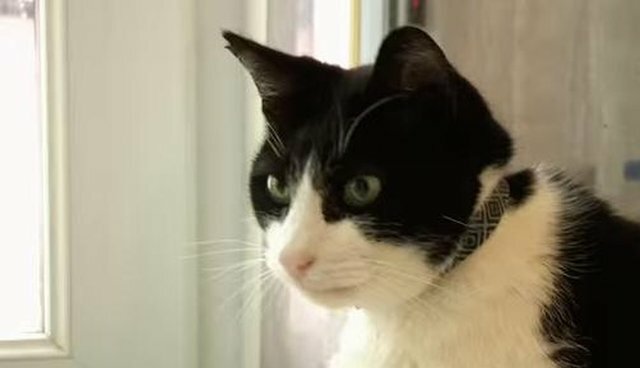 Humans from Guinness World Records visited Merlin at his home to test how loud his purr really is. At first it seemed he wouldn't crack Smokey's 67.7dB record, but excitement for that bowl of tuna fish nudged Merlin into top place. There are so many wonderful shelter pets out there who need forever homes, so adopt your pets! Learn more about adoption at your local Humane Society or the ASPCA. Who knows? Maybe your special pet could become a world record holder, too.